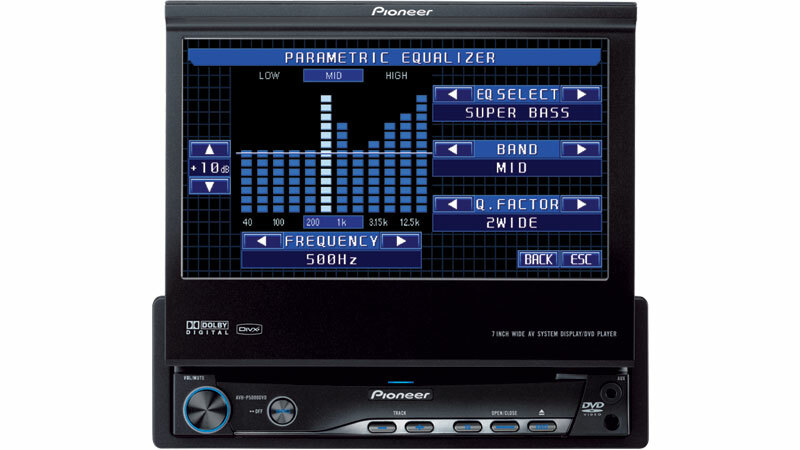 Consumers in search of great entertainment and connectivity on the road will find the AVH-P4000DVD and AVH-P5000DVD from Pioneer Electronics (USA) Inc. the ideal in-car solution. A welcome sight for any dashboard, the two new systems offer choices in 6.1- or 7-inch video screens plus unprecedented audio and video qualities and versatile connectivity to iPod® players, portable audio devices and Bluetooth® cell phones. For improved design and vehicle integration, consumers installing either units have a variety of colors to choose from for button illumination and graphic user interface (GUI). Users of the AVH-P4000DVD can customize its illumination by selecting from 112 color variations for its display and panel illumination while users of the AVH-P5000DVD have a choice of five (blue, red, amber, green, violet) display colors and blue/red panel illumination. The AVH-P4000DVD and AVH-P5000DVD provide extensive connectivity to portable music players, USB compatible devices and satellite radio. Both units also offer a rear audio/video auxiliary input as well as a front mini jack auxiliary audio/video input for quick connectivity of any portable audio device with mini jack outputs. Both systems feature a high quality widescreen touch panel LCD display for play back of DVD video discs, DivX® video content, iPod video, and other sources through the A/V inputs. The Double DIN AVH-P4000DVD utilizes a 6.1-inch screen, while the single DIN AVH-P5000DVD uses a larger motorized 7-inch screen that retracts into its chassis when not in use. The large, easy to read screens are especially helpful in communicating information at glance. For added safety and convenience, both units are capable of displaying images from a separately-purchased back-up camera system. Both the AVH-P4000DVD and AVH-P5000DVD can play different formats of audio discs including CD-R/CD-RW and DVD-R/DVD-RW recorded with MP3, WMA and AAC compressed audio files. For dynamic and rich sound quality, the units feature Pioneer’s powerful MOSFET50 internal amplifier and Hi-Volt preamp outputs (4V) for use with external power amplifiers. While the built-in three band parametric EQ provides fine tuning adjustments to the music curve, the two-way crossover network sends the proper frequencies to the vehicle’s speakers. The AVH-4000DVD and AVH-P5000DVD will be available in March with a suggested price of $500 and $650 respectively. 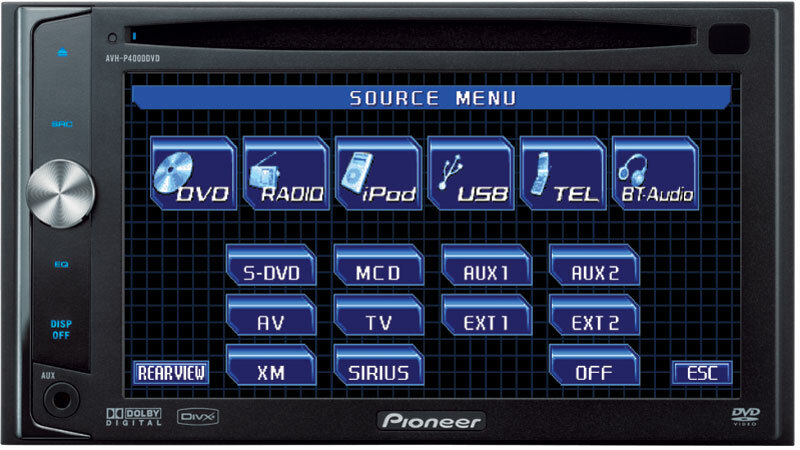 **Bluetooth functionality requires a Bluetooth-enabled Pioneer system and a compatible Bluetooth-enabled mobile phone. Some Bluetooth-enabled mobile phones may not be fully compatible with (and have full functionality with) a Bluetooth-enabled Pioneer system. See more details about compatibility on the pioneerelectronics.com website.